Sign up for Autoship for remaining Months! You will be asked to create Paypal account if you don't have one. Please note: If subscribing we will start you at the current month. Please order previous months Ala-Cart from our shopping cart. 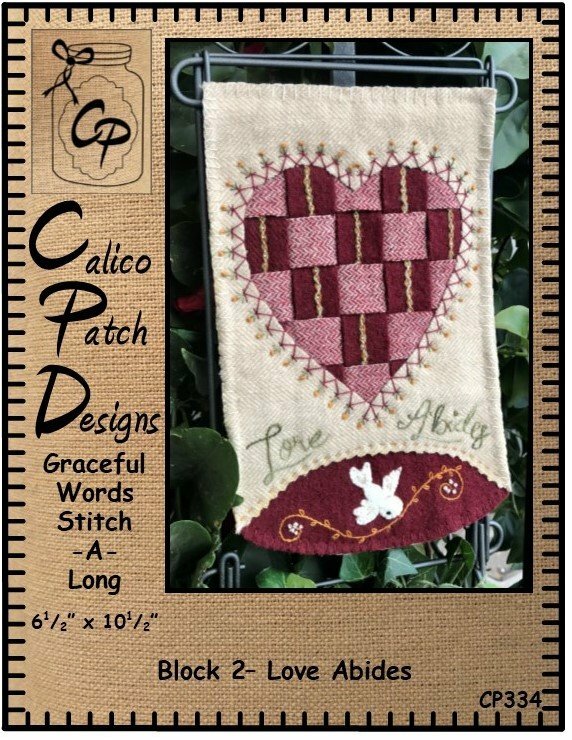 Graceful Words Stitch-A-Long with Vicki McCarty is an fun stitch along with motivational and inspirational words on a cute wool applique and background. Kit includes all wool, embellishments as shown and homespun backing. 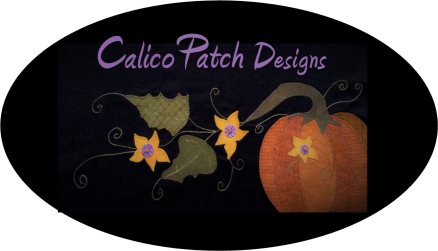 Kit only option is for those who have the pattern through the Wool Applique Facebook Exclusive program and does not include a printed pattern. The project is displayed on a wire hanger with decorative topper. Collect all 12 throughout 2019! Call Shop to register for Auto-Ship So you don't miss out! (606) 784-7235! Thread Pack is for this months design and may or may not be used in future monthly blocks. Other "Helpful Items" include Tailor's Chalk, Applique Pressing sheet, Sulky Tear Easy Stabilizer, Freezer Paper, Beading needles, 606 spray adhesive, Template plastic, Pinking Rotary Blade all found in our Notions Tab.